“Everyone wants to play for the first team and I am no exception. I want to get more minutes, but I always knew this season it was going to be a challenge as there are top players ahead of me. All I can do is get my head down and work hard and try and impress through training and the games I play in the reserves. It is down to me, and me only, to get to where I want to be, just as Scott has shown over the last 18 months. 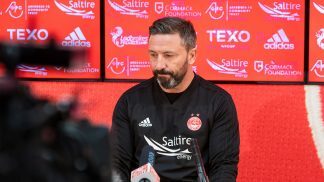 “We are happy to have gone toe to toe with Celtic and Rangers and come away with two good results, but our home form needs to improve, and that starts on Saturday. 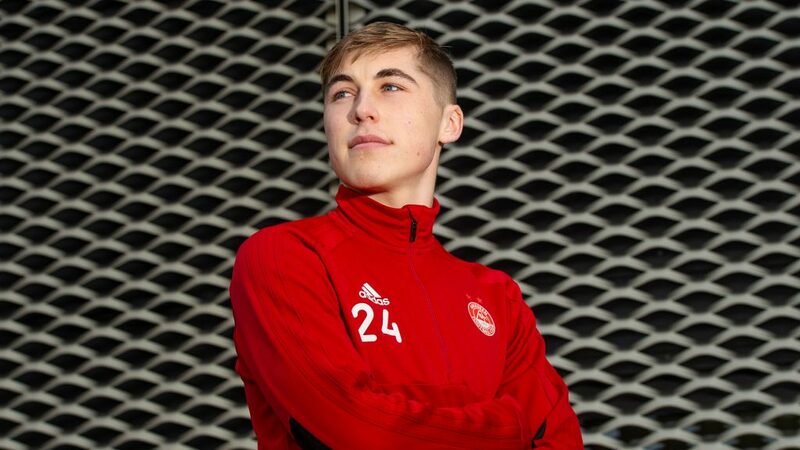 “It has been a great season for me, getting to play and score in the Aberdeen first team. But I’m not happy with just that. I want to keep working hard and want to get better. 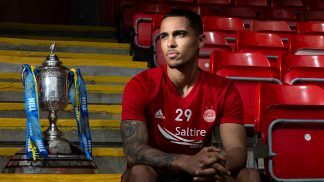 Hopefully I can come back to Aberdeen full of confidence and a better player. As always there are all the usual features, columnists and historic articles. Saturday’s retro cover by Dolly Digital is inspired by the programmes from the 1972-73 season. It was a season that was anything but dull but would ultimately end in disappointment. Manager Jimmy Bonthrone had already had to deal with the departure of Martin Buchan to Manchester United and would now have to try and cope with the loss of record goalscorer Joe Harper half way through the season. 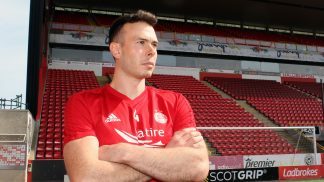 What made the decision to sell Joe even harder to take for Aberdeen fans, was the fact he had formed a brilliant partnership with Drew Jarvie. Thankfully the two players would be reunited later in the decade. Joe’s departure did lead to the arrival of Zoltan Varga, the finest foreign import ever to play for the club. He would go and light up the winter months of 1973 with skills that had never been seen before in the Scottish game. 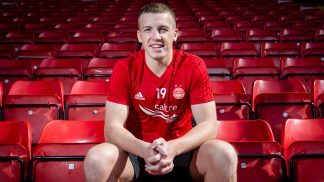 Bonthrone would also give a debut to young striker by the name of Willie Miller. 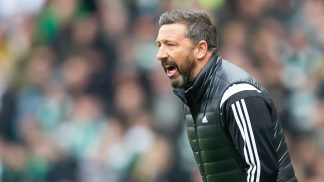 Aberdeen would finish the league season in fourth position, two points behind Hibs who were third and a distant 14 points behind Champions Celtic. 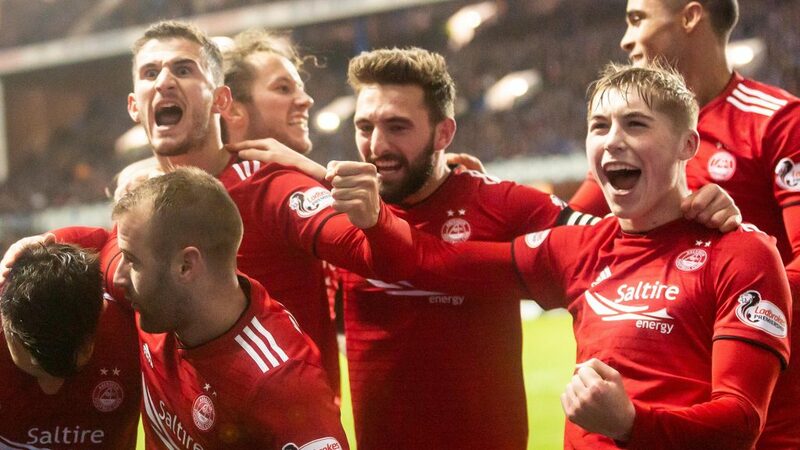 Worth remembered two season before the Dons had pushed Celtic all the way in the title race. 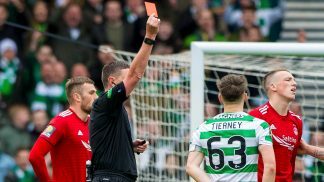 The Parkhead side would also knock the Dons out of the both cup competitions. 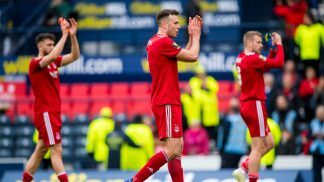 Drew Jarvie joins Dons in club record £72,000 transfer from Airdrie. Harper-Jarvie partnership off to a flier with twelve out of 19 League Cup goals. They would go on and score four hat-tricks between them and Jarvie would finish top scorer with 28 goals. 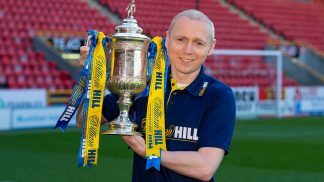 Remarkable 8-0 win over Falkirk in League Cup, all goals coming in second half. Zoltan Varga joins Dons from Hertha Berlin following bribery scandal in Germany. Star-studded Manchester Utd are swept aside in Dons’ 5-2 friendly victory. Willie Miller makes his first appearance as a substitute in the last game v Morton. 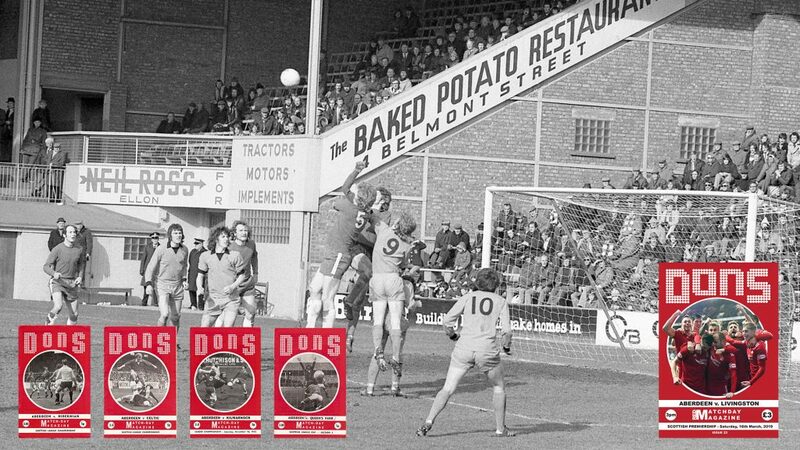 Brechin City welcomed the Dons in Scottish Cup before a record 8,123 Glebe Park crowd. Joe Harper scores on his Scotland debut against Denmark in Copenhagen. Bobby Clark earns further caps v Denmark and England. Aberdeen ’A’ win the Reserve League Championship and the Reserve League Cup. Transfer of Joe Harper to Everton for £180,000 fee in December. First ever-European defeat at Pittodrie against Borussia MG. Remarkable comeback against Borussia is futile, on account of three late goals in Nuremberg. Hibernian win the League Cup despite the Dons defeating them 4-1 in the section. 2-3 defeat in League Cup semi-final at Hampden against Celtic after taking 2-1 lead. Red Matchday Magazine is available to buy in the club shop and from in and around the ground from the programme sellers for £3.00.